This year Anarchist Black Cross Belarus is doing yet another infotour around Europe. We have several goals to achieve through visiting several countries. We want to spread the information about the Week of Solidarity with Anarchist Prisoners that will happen at the end of August 2014. 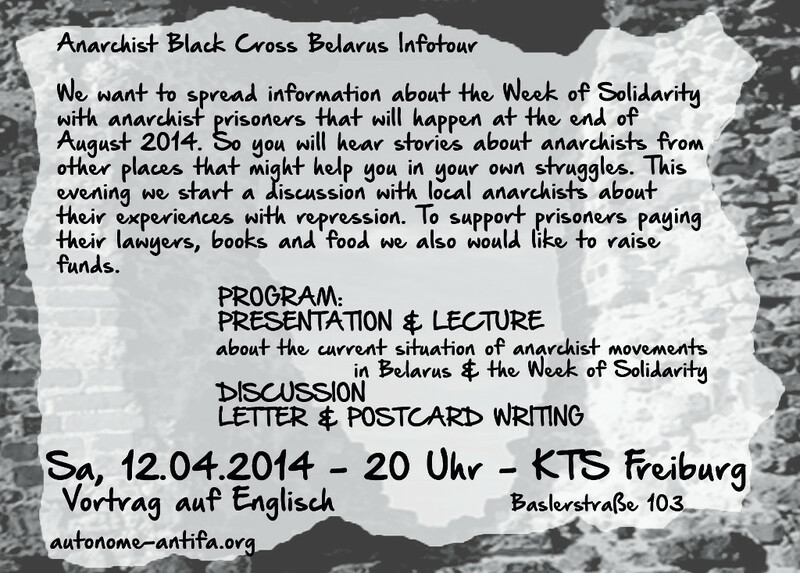 This is a joint project of several ABC groups around Europe trying to unite our efforts to support comrades in prison. 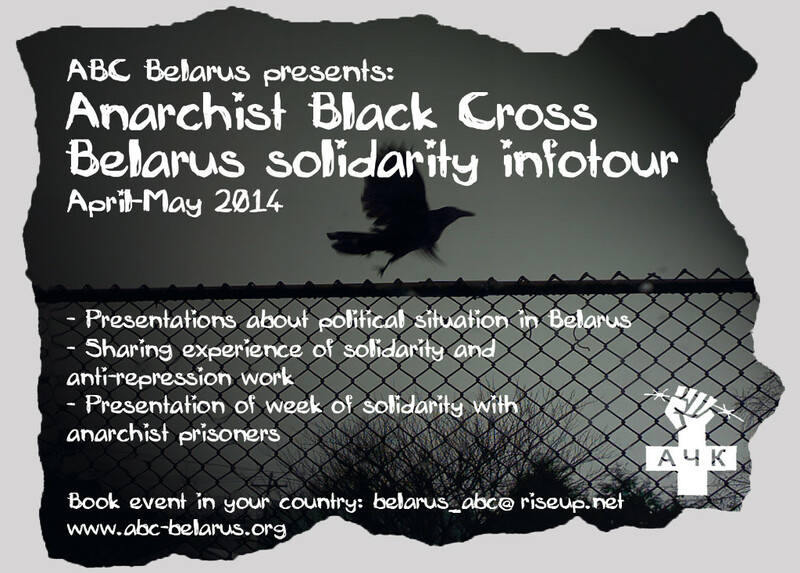 We also would like to share with you the information about the situation of the anarchist movement in Belarus. 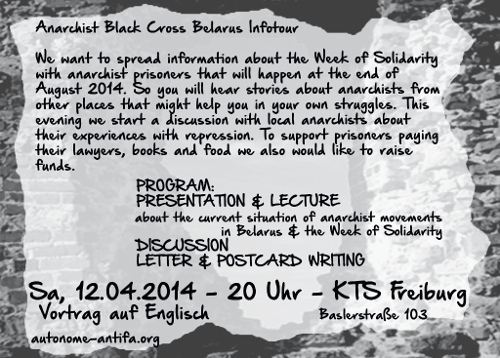 We hope that stories about anarchists from the other places will help you in your own struggles. It is not possible to talk about the anarchist movement in the country without mentioning repression that movement is facing right now and how we deal with it. We would like to have a discussion with local anarchists about your own experience with repression and what were the things that were/are helping you to deal with it. ABC activity also constantly requires money and this is the last but not the least point of our infotour – we would like to raise funds we can use to support prisoners by paying their lawyers, books, food. Also we need money for printing propaganda.